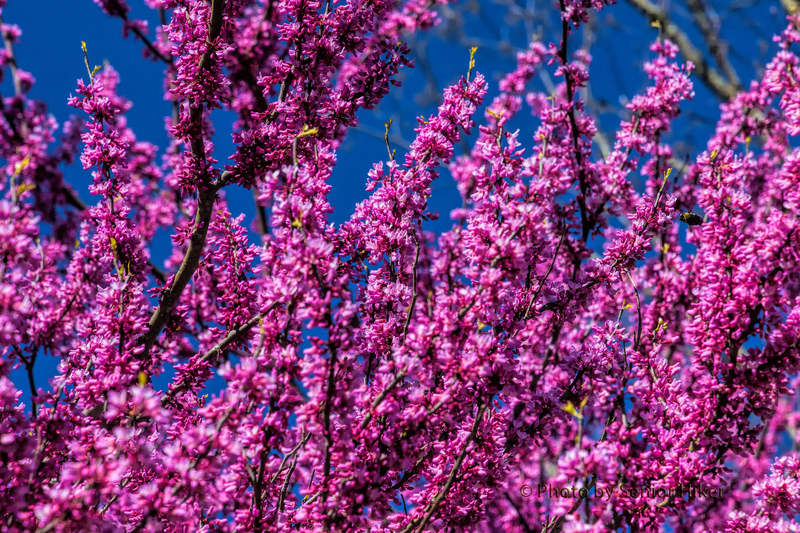 Spring on the Cumberland Plateau is beautiful, and one of the trees that help announce ‘Spring is here’ is the redbud tree. The blossoms are gorgeous, especially against a blue sky. This tree is in our front yard. This entry was posted on April 4, 2016 at 3:38 am and is filed under Cumberland Plateau. You can follow any responses to this entry through the RSS 2.0 feed. You can leave a response, or trackback from your own site. Awesome picture of our big Red Bud tree.. This has been one of the prettiest years yet for the blooming Red Buds… Love the colors in this photo… Marvelous. Oh, that is so bright… where are my sunglasses? OMG, what photo! It is awesome beautiful.